…this is the start of my favorite time of the year. The air becomes less humid, the leaves are turning and in the mornings there’s a new calf on the ground. 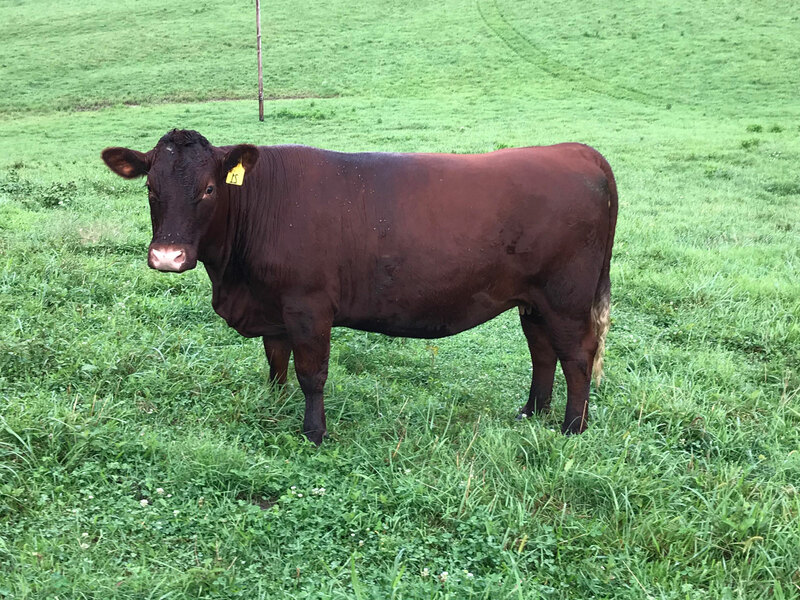 We calve in the autumn here in steamy Virginia because it’s easier on mom and baby…surer-rebreeding too on mostly fescue. 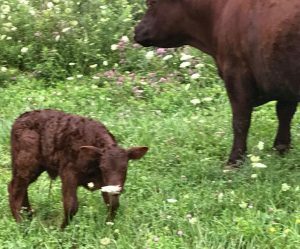 This little girl is just a few hours old…pure English genetics…at John Forelle’s farm in New York. She’s out of a Cutcombe Jaunty mother and sired by Tilbrook Sunset. John of course was one of the original partners in Traditional Devon America and while retired he maintains a few Devon cows. And here, waiting out the last few weeks before delivery, is a two-year old plus heifer in our Tilbrook Cashtiller line. I think Cashtiller was the best female I’ve ever seen…here or in England. She won every show she ever entered and three years in a row her bull calves topped the English sales. While there’s a hold on Traditional Devon cows for a few more years we have been using the English bulls on our regular herd with great results. The heifer just above is the daughter of TDA Victory and TDA 4. We welcome visitors at any time…just give Church a call at (214) 802-1283.